Square Enix and pixiv started the participation recruitment of “Party Castle“, a community site for creators, in illustration contribution site “pixiv” on 6th November. Square Enix is a leading game company. “Final Fantasy” and “Dragon Warrior/Dragon Quest” are their popular computer role-playing game series. 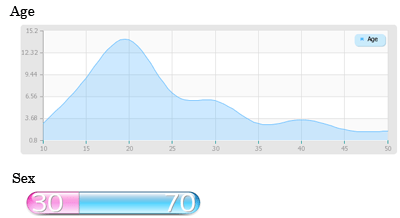 It is 3D community aimed at making the fantasy world by user and Square Enix jointly. They offer the software with which a user can make 3D character and we can make characters as if we drew illustrations. They have already carried out the character design contest about the three world of the Party Castle from 6th October and are carrying out the second of the contest. They will invite top performers to the Square Enix main office on the end of the contest and they will play Party Castle before the launch. pixiv, which is a place of the recruitment, increased the number of the users smoothly and grew up to the mega site of 300 million PV a month. They have proposed some tie-up plans so far and generated illustrator Kulturkreis. In addition, They opened site “drawr” in which they could made a illustration and a letter by handwriting on a Web browser and show them. However, they do not yet establish the business model. Mr.Katagiri, pixiv CEO, says that a tie-up plan is just a plan to have a user enjoy it. This tie-up plan with Square Enix may be sake to heap up the community. 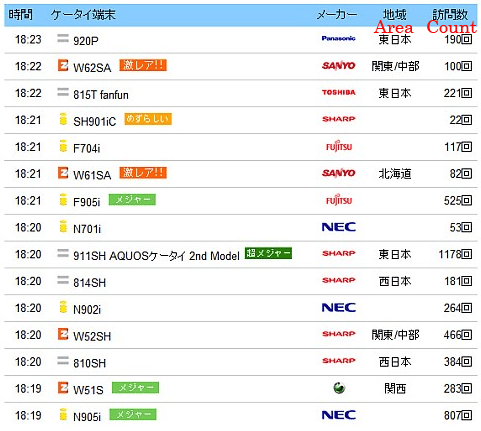 They are examining the user charging system for business but there are few people who spend money on web service in Japan, so a big wall may stand in front of them. 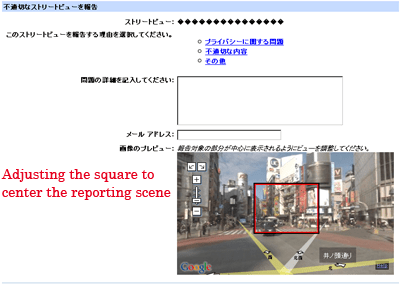 Google Japan starts Google Map Street View in Japan. 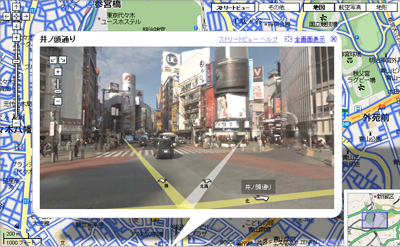 Now the street view is available in some principal cities such as Tokyo, Osaka, Kyoto, etc. You know, using Street View we can see the 360-degree view of a place. The following image is the view of Shibuya. Almost all of related news refer to the problem of privacy. Google tries to solve this problem by defocusing human faces and car numbers. In addition Google lets users to report the wrong scenes, for example if we can specify an individual person, thus they can always check them. According to the official blog of Google Earth / Maps team, they starts Street View in Australia at the same time. By the way, Junya Kondo, Founder & CEO of Hatena, wrote that he found a friend (actually his wife she is) on the Street View. And in 2ch community, they are heating up for watching various scenes, for example the scene of a sweet couple of high school students.